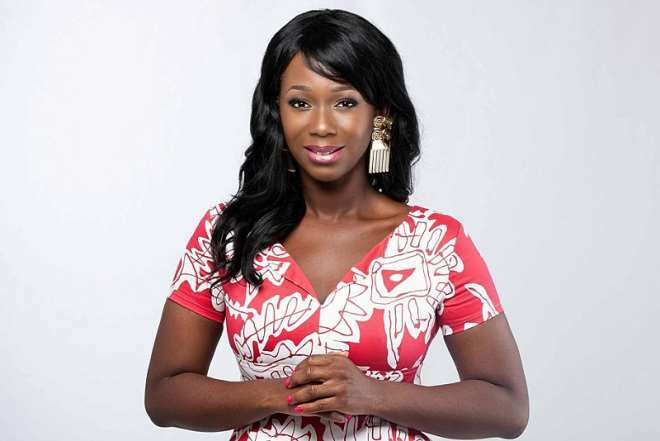 Ghanaian actress and TV presenter Ama K. Abebrese says she has starred in 13 movies in her whole acting career. Ama mentioned this in an interview with Andy Dosty of Hitz Fm on Monday. The actress said out of the 13 films she starred in, only 1 was a nollywood movie. Disclosing why she hasn’t done a lot of movies like some other actors do before they shoot to fame, Ama K. Abebrese disclosed that she believes that to be noticed has to do with delivering quality services, not services that are quantified. That explains why she hasn’t featured in a whole lot of movies. She added that all but one of those movies was shot in Ghana, making them local movies. The actress added that she hasn’t received lots of scripts from Nigeria, and out of the few, only 1 caught her attention and that is what she shot it. She noted that film making is her passion and that’s why she does films aside her television career. Ama K. Abebrese stressed that to determine quality doesn’t necessarily have to do with a huge budget, citing her film "The Burial of Kojo" as an example. She further indicated that when she receives a script, she carefully puts herself in the character and sees if she can portray it and do her best to produce a quality performance.